Below are some of the questions we have been asked over the years. Can you pencil us in ? Regrettably no, to secure a booking, you need to complete our booking form and return it to us with the required deposit. Are your marquees water proof ? Yes. Do your prices include delivery and installation ? Yes they do. What is the smallest marquee you do ? The smallest marquee we can supply is 3m x 3m. Do you have insurance ? Yes we have public liability insurance and we are happy to show you a copy of our certificate at any meeting we have. 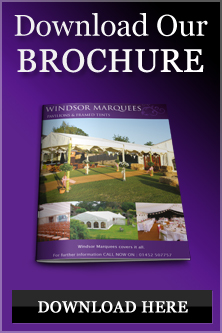 Marquee hire Gloucestershire, Marquee hire Worcestershire.